It is a beautiful West Dorset village, providing a great setting for the children to explore, play and learn in. Whitchurch has a fantastic village park right next to our Pre-School which we visit regularly, providing lots of extra fun outside space. We are a charity non-profit making Committee run Pre-School. The Committee are made up of parents and friends of the Pre-School, who kindly volunteer to oversee and manage the Pre-School, alongside the Pre-School Leader and team. Whitchurch Pre-School takes children from the age of 2-5 years old. We accept 2 and 3 / 4 year old Early Years funding vouchers. We are also able to accept the extended 3 and 4 year old funding introduced in 2017 on a limited basis. We are open Tuesday to Friday (term time only), and offer a combination of morning, afternoon and full day sessions. We would recommended all children attend two sessions a week minimum, however we are happy to be flexible, and of courses, places are dependent upon availability. Whitchurch Canonicorum Village Hall has ample parking to make drop off and pick up times relaxed and easy. We have our own dedicated Pre-School room within the hall, in addition to having use of the whole hall during sessions. We provide an indoor and outdoor free-flow environment. Most recently, in early 2017, we began to create our own permanent outdoor garden space. It is very much a ‘work in progress’ but many areas have now been completed and the children enjoy visits to the garden on an almost daily basis. Whitchurch Pre-School has an excellent team of fully Early Years qualified and experienced staff, as well as unqualified staff who are currently training and working towards Early Years Qualifications. We provide continuous professional development for all staff. 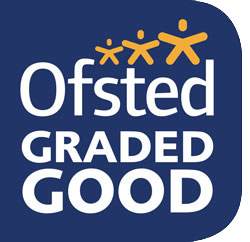 During our last Ofsted Inspection in October 2015, we were awarded a “GOOD” status. This follows on from our previous inspection in January 2010 when we were also awarded ‘Good”. We offer a safe environment for your children to explore, learn and have fun in. We plan and provide a wide range of activities both indoors and in our two outside learning areas. We have a wide range of good quality equipment to support children in all areas of their play and learning whilst at Pre-School. We are located only a short drive from Charmouth, near to Lyme Regis and within the Marshwood Vale. We have strong links with local Primary schools Symondsbury, Charmouth and Marshwood, as well as others. We provide good transition support for you and your child when they make that step between finishing Pre-School and starting Primary School. The safeguarding and welfare of the children in our care are obviously a top priority at our Pre-School and all staff are highly trained in these areas.